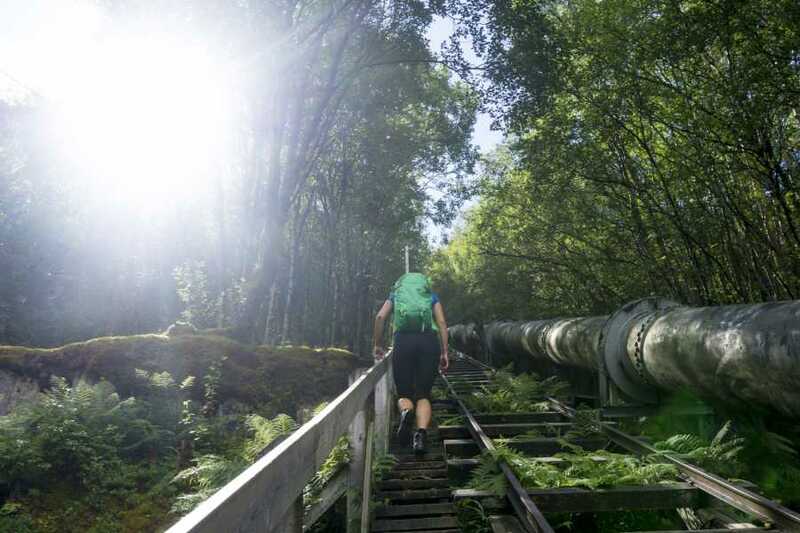 Join Outdoorlife Norway on a day-trip to Flørli, which boasts the world’s longest wooden staircase. 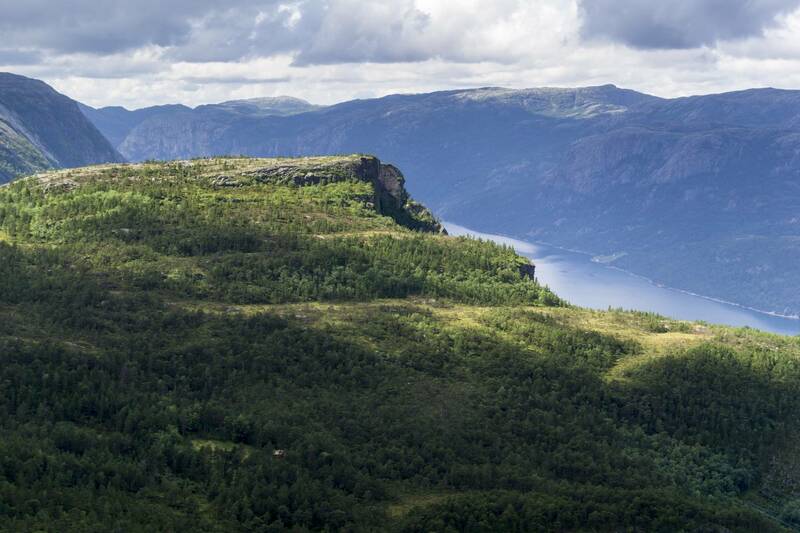 Cruise through the Lysefjord and view Preikestolen from sea-level. 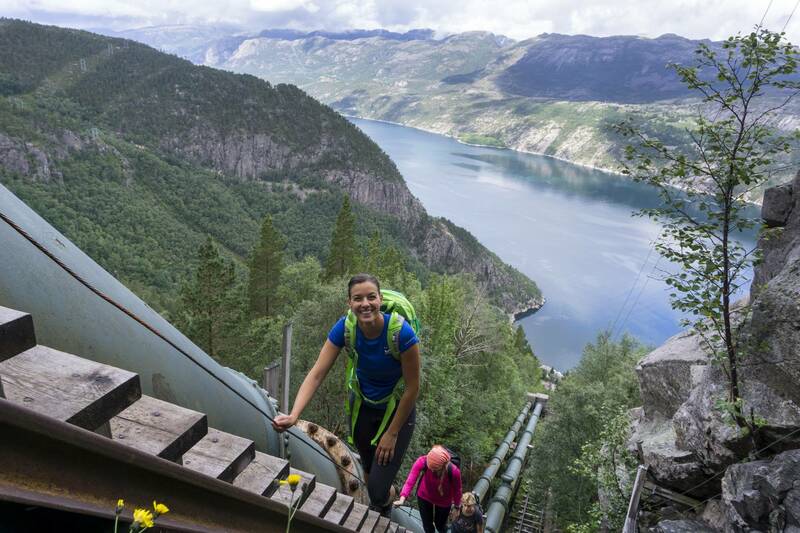 Take the long climb up 4,444 steps to the top of the mountainside, enjoy the fjord views and visit the former power plant village of Flørli. Your day will begin when our guide meets you in Stavanger. 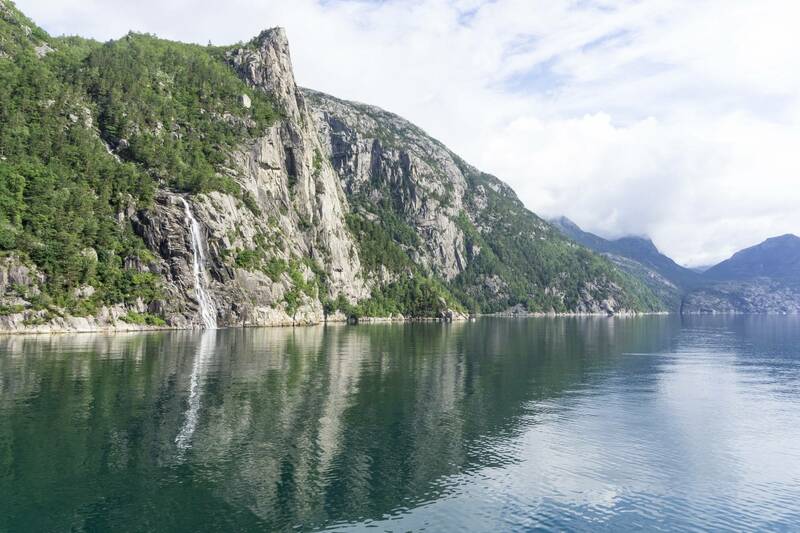 After being transported to the shores of the Høgsfjord, you’ll board a passenger ferry that will cruise into the Lysefjord, where steep mountain walls towering hundreds of meters above the fjord emerge. 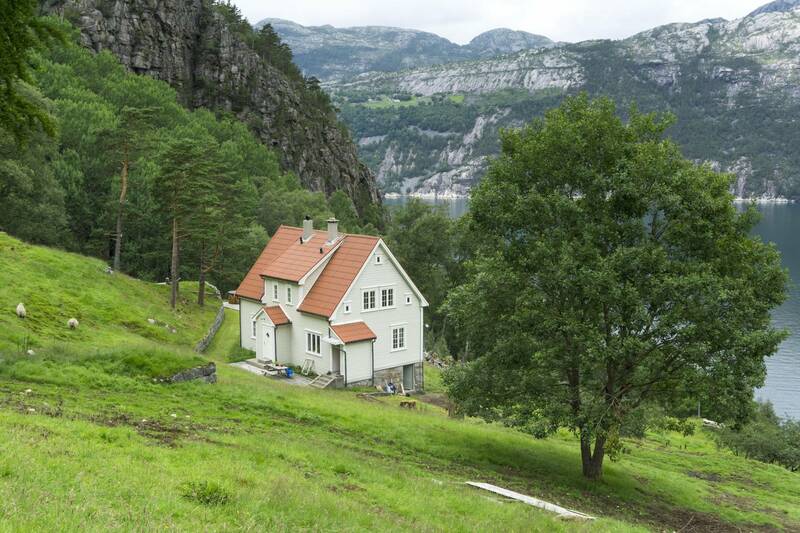 During the cruise, you’ll pass waterfalls, abandoned farms, and the famous Preikestolen cliff before arriving at Flørli. 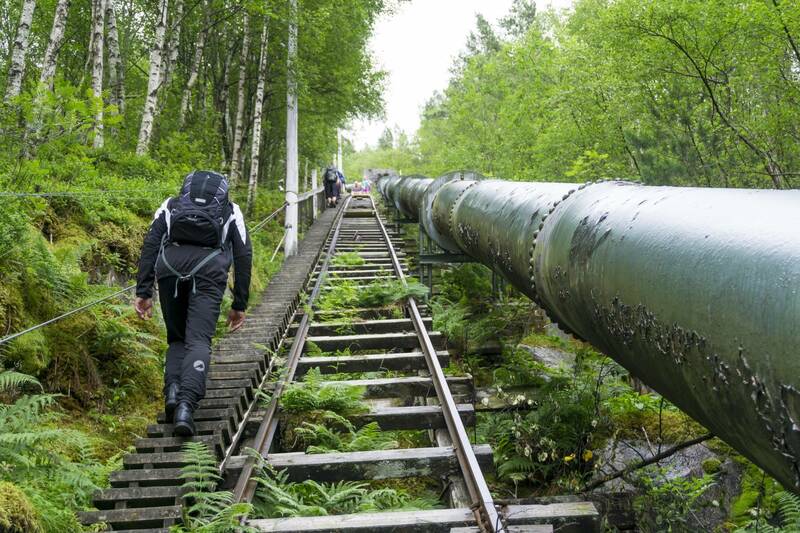 Once at Flørli, your guide will lead you up the 4,444 wooden steps that parallel old water pipes which, at first glance, seem to be precariously clinging to the mountainside. This is a demanding 4-hour, ~6 km (round-trip) hike with a total ascent of just over 750 meters. Your journey to Flørli begins when your guide picks you up in Stavanger city-center (see above for specific pick-up times and locations). While being transported to the fjord, which takes about 1 hour, you’ll be able to catch glimpses of Norway’s stunning landscapes. 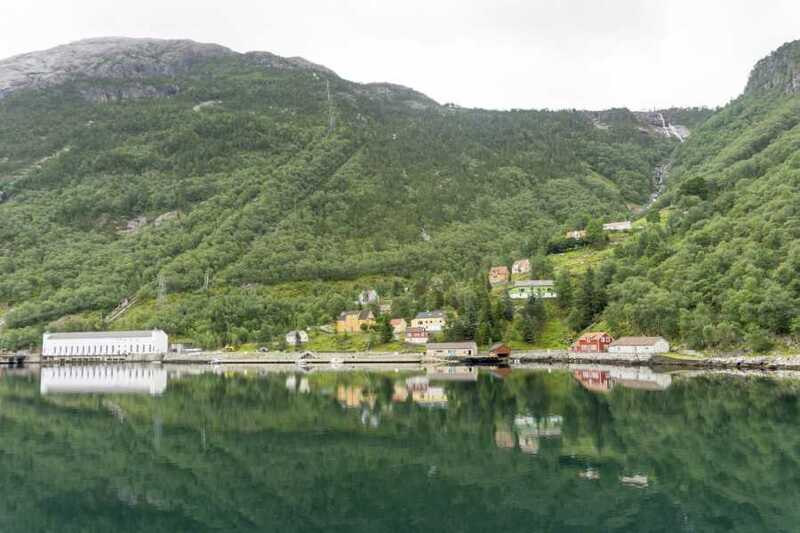 Upon arrival at the shore of the Høgsfjord, you’ll board the rustic MS Sognefjord passenger ferry, which has been in use since 1943 - it was actually built as a warship made for hunting submarines. During the 1 hour, 45 min. fjord crossing to Flørli, the MS Sognefjord will start-off by navigating under a suspension bridge that spans the mouth of the Lysefjord. Steep mountain walls towering hundreds of meters above the fjord will then emerge. 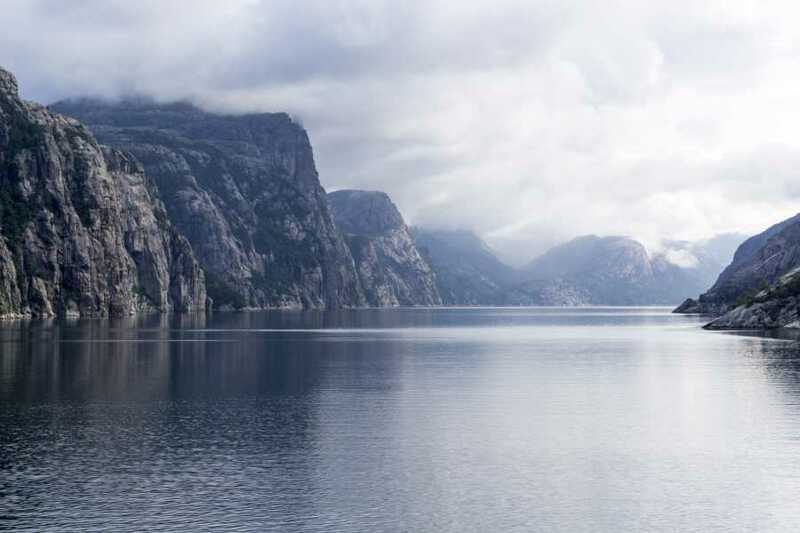 The cruise will transport you further into the Lysefjord and where you will pass waterfalls, abandoned farms, and the famous Preikestolen cliff, which towers 604 meters above sea-level.